Diageo and David Beckham are teaming up again to launch a new Haig Club single grain whisky later this year. Details of the new whisky are sketchy so far, with the company only confirming that the launch will take place later this year, and that its partnership with the former England football captain is continuing. 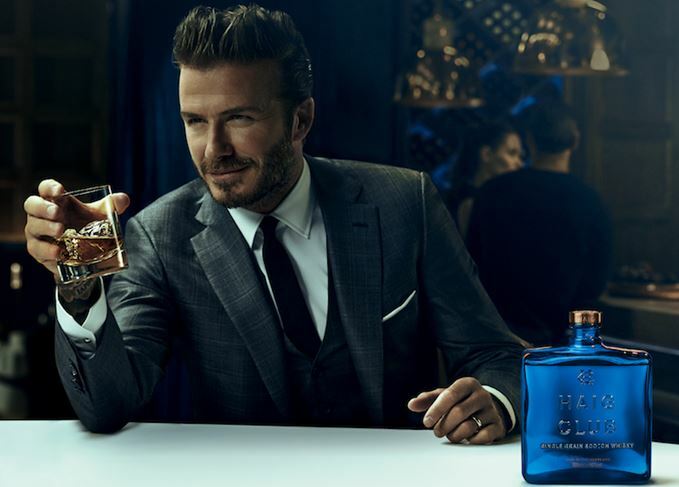 Haig Club – a single grain whisky produced at Cameronbridge distillery and packaged in a distinctive blue bottle – was launched by Diageo in partnership with Beckham and media guru Simon Fuller in 2014. Initially sold in the UK, it was later rolled out to international markets and travel retail, but some reports have suggested that its performance to date has been patchy, with pricing (about £45 in the UK) a concern. In January, Diageo admitted that Haig Club sales had declined in the six months to December 2015, but blamed this on difficult comparatives with the brand’s launch period. Haig Club was also hit by a complaint to the Advertising Standards Authority (ASA) by Alcohol Concern that Beckham’s involvement created ‘strong appeal’ to under-age consumers. The complaint, however, was dismissed by the ASA.